I grew up with a dream shared by many: to take a bite out of the Big Apple. I arrived fresh off the plane from Georgia with the plans of an eighteen year-old and a wardrobe from Target, ready to take the city by storm. New York is legendary for a reason, and chances are if you’ve taken the plunge and moved to the city that never sleeps you’ve got bravery and dreams to back you up. Ask any New Yorker and they’re certain to assure you that nothing tops this. 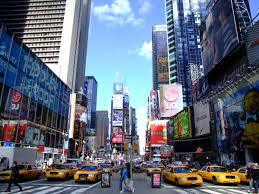 Because that’s the thing about New York: it’s all here. There are few New Yorkers who can truly say they’ve seen everything this incredible city has to offer– and how could they? One of the best things about New York is its ability to surprise you. While it’s certainly in a state of constant change, it’s the cultural caches hidden in little streets throughout the boroughs that hold the city’s history in place. There’s so much to see and do, yet it’s important to remember that there’s always more to see. 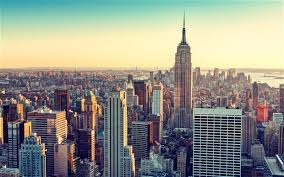 It’s easy to become happy in the New York bubble; if I had my choice I’d never leave. 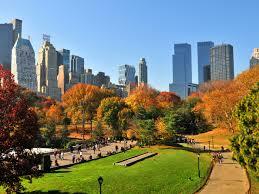 But there comes a time when every person needs to reclaim the sanity that New York life can allow us to lose. We have to be able to find silence, serenity, and a perspective other than the typical New Yorker’s. And while we’re lucky to have countless parks and museums at our fingertips, there aren’t many opportunities to be alone. It’s also important to stay in touch with the outside world– not just politically. There is so much to appreciate just beyond the city’s boundaries. Opportunities are endless, and when you live in a city that’s sometimes superficial, it is vital to spend time amongst nature and to find ways to connect with the Earth and help those around you. 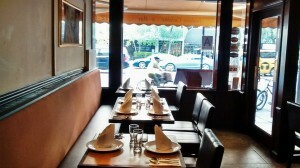 Craving a taste of Indian Food while in Union Square? 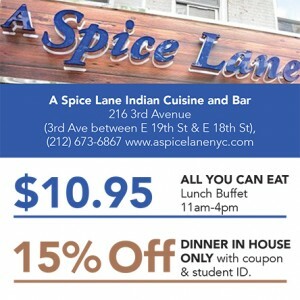 Spice Lane on 3rd Ave offers great meals with affordable prices for students. They currently offer a student discount with Campus Clipper! 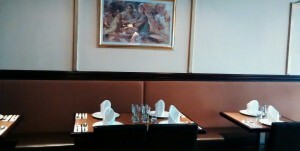 My brother and I stopped by the restaurant for lunch and really enjoyed the experience. The atmosphere was fairly quiet; Indian music was playing in the background and it didn’t seem very busy. Only a few tables were occupied. But despite it not being very busy, the food was good. 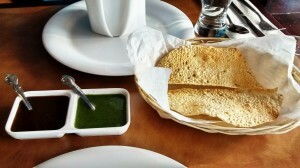 To start, the table was served chips with mint sauce and tamarind chutney sauce. Both sauces were extremely delicious. The mint sauce had a good kick and the tamarind chutney sauce was nice and sweet. The waitress was really friendly and made sure our table had everything we needed. 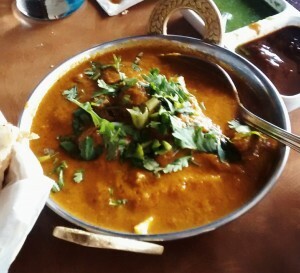 The waitress also recommended the lamb curry to me and I really liked it. The curry was just a bit spicy. And I’m very wimpy about spicy foods, so that was good! 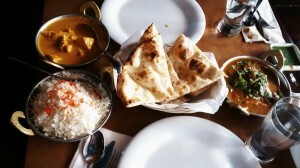 My brother ordered the chicken tikka masala, which was also really good! The spices blended well together. The chicken and lamb were so soft you could cut them with just a fork. We also ordered a side of fresh naan. 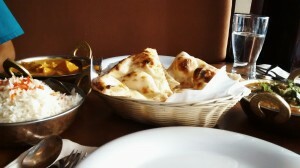 If you’ve never had Indian food before, naan is their signature bread and it’s so delicious. It’s very light, fluffy, and addictive. Once you have one slice, you just want more. You can dip your bread in your sauce or just enjoy it on your own. 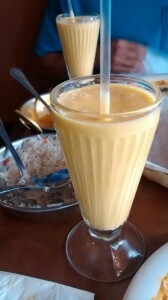 To drink, we got the mango lassi. I’ve eaten Indian food a lot, and I’ve ordered lassi a few times. It’s this yogurt-like drink, similar to a smoothie. It was really good, very refreshing. The yogurt and mango blended well together. Some places use milk instead of yogurt because it’s cheaper. But with milk, the drink doesn’t taste as rich, filling, and creamy. But Spice Lane does use real yogurt! Their lassi was super delicious. For desert, we got the Kheer, or rice pudding, which was light and sweet. Overall, it was a pretty good experience. And it’s pretty close to Union Square, without BEING in Union Square, so the street is peaceful. Overall, I recommend the restaurant if you want good food and a quiet night out. Clothing. Shoes. Makeup. Women love it. Shopping centers though, I find are not quite as enjoyable. Despite having stores that hold the items I so dearly love, traveling in a stuffy environment for hours does not appeal to me. Even just visiting a couple of stores one after another can be draining. Many of these stores have men in suits standing in front of their entrances. In the Manhattan Mall I found one of the most amazing human beings I have ever been graced to hear. Walking at night on the lowest floor, a booming jovial voice from a slightly rounded Jamaican man came calling after customers exclaiming, “Thank you for coming! 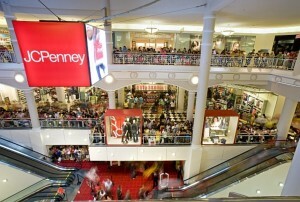 Thank you for shopping!” which was then followed by a sing-song like “JC PENNY!” His smile followed passersby such as me infectiously. Every five minutes he would sing his greeting and at 9pm at night it brightened my sluggish, normally slightly agitated demeanor. It is strange how something so small, someone excitedly greeting you in a rhythmic sing-song like manner, can really change your entire attitude. Normally at night, I, like many other New Yorkers, just want to get home and shower off whatever negative occurrence happened that day. Hearing that “JC PENNY!” and see the man slowly wave with a smile and rosy cheeks not only made me laugh, but also put a smile on my face to the other people I walked by before making my way to the trains. Here I learned that the best way to end the day is with a smile and a laugh.